and for lots of other purposes as well. Could you make one? 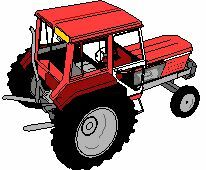 Level 1 - Make a simple model of a tractor. Level 2 - As level 1, powered by a battery motor. Level 3 - As level 2, with a plough on the back, and the plough the sand in a sandpit. 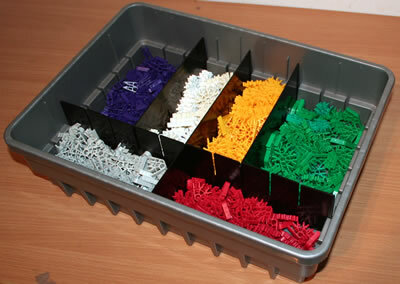 Equipment: KNEX set including small and medium wheels, plus a battery motor and (for level 3) a sandpit. Approach: What does a tractor look like? What type of wheels does it need? Where does the driver sit? 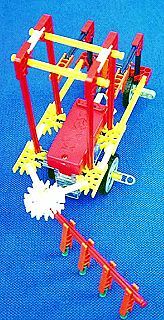 For level 2, how can you make the motor drive the wheels? How will the motor be fastened to the body? For level 3, what is the purpose of a plough? 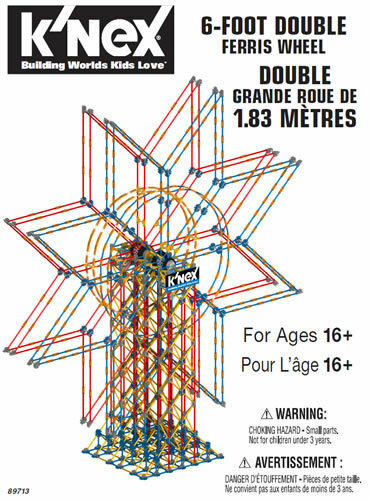 How can you make one out of KNEX? How will it attach to the back of the tractor? Does it work when tested in a sandpit? The aim of the project is to build a working model of a familiar mechanical object, and then to experiment with how a pulling force can be used to plough sand. 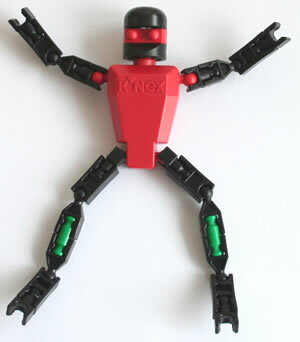 Before starting: Discuss ploughing - how it works and why it is needed, and look at a picture of plough. Conclusion: Firstly, compare the different designs for tractors and ploughs. Then, see whose tractor can plough the sandpit deepest and in a straight line.